Bias is your worst enemy in the lab. Bias can affect your test runs, impact confidence in your results, and cut into your bottom line profitability. 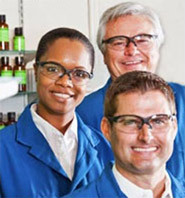 Phase Technology Reference Materials are a vital tool for routine quality assurance and verification of test results. Ensure the reliability of your cloud, pour and freeze point measurements as prescribed by ASTM by using Phase Technology Reference Materials. Phase Technology Reference Materials come with a Certificate of Analysis detailing the actual tested results and the average values derived from independent international interlaboratory and intracompany studies. An allowable range of acceptability provides the tolerance level when verifying accuracy of the test result. Phase Technology Reference Materials are the best way to check if your internal QA samples are producing reliable results. Specially chosen to match your requirements: diesel, jet fuel, lube and base oil. Bottled in sterile, 25 ml dark glass vials to protect integrity. Tightly sealed with fitted caps to eliminate contamination. Shipped in specially designed packaging that complies with IATA Dangerous Goods requirements. Full MSDS supplied with each bottle. Sold in set assortments of 5 or 10 different vials. Standards also available individually. A combination of diesel and jet fuels in sufficient quantity to perform quality checks of cloud, pour and freeze point according to ASTM methods D 5773, D 5949 and D5972. Contents: 1 each of 5 different standards in 5 individual 25 ml vials. Includes 3 diesel fuels and 2 jet fuels. A carefully selected set of base oils and lubricating oils for performing quality checks of cloud and pour point according to ASTM methods D 5773 and D 5949. Contents: 1 each of 5 different standards in 5 individual 25 ml vials. Includes 3 base oils and 2 lube oils. The most comprehensive set of cold flow standards available. Includes ample supply of diesel fuels, jet fuels, base oils and lubricating oils for quality checks of cloud, pour and freeze point according to ASTM methods D 5773, D 5949 and D5972. Contents: 1 each of 10 different standards in 10 individual 25 ml vials. Includes 3 diesel fuels, 2 jet fuels, 3 base oils and 2 lubricating oils. Mix and match! Customize your own selection of any combination of 5 vials (25 ml each ) of Phase Technology Reference Materials. Contents: 5 standards in 5 individual 25 ml vials. May includes user-selected choice of diesel fuels, jet fuels, base oils, lubricating oils or antifreeze standards. Phase Technology Reference Materials are also available for sale in individual, 1-each 25 ml vials. For a complete description of currently available Reference Materials, download a brochure.